How was your fishing this fall? By most accounts, it’s been a great season for light tackle casting on the Chesapeake Bay. One of the reasons why we’re catching more fish than ever this year is that, thanks to recent harvest reductions, there is a lot of bait around, especially menhaden. 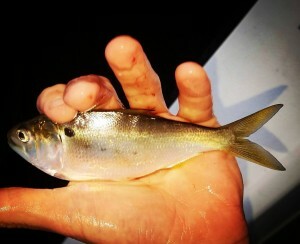 In the Chesapeake, anglers refer to menhaden as bunker or sometimes (incorrectly) LYs. They’ve famously been called, “the most important fish in the sea.” That’s because menhaden are such a critical link in the Atlantic’s food web. At one time, menhaden made up over 70% of rockfish diets. Now, that number has dwindled to something like 8% because there just isn’t enough menhaden to keep the rockfish fed. In fact, the population of menhaden in the Atlantic Ocean is at less than 10% of historic levels. That’s a big drop and a huge problem, not only for recreational fishermen, but for anyone who makes their living in and around the Bay. 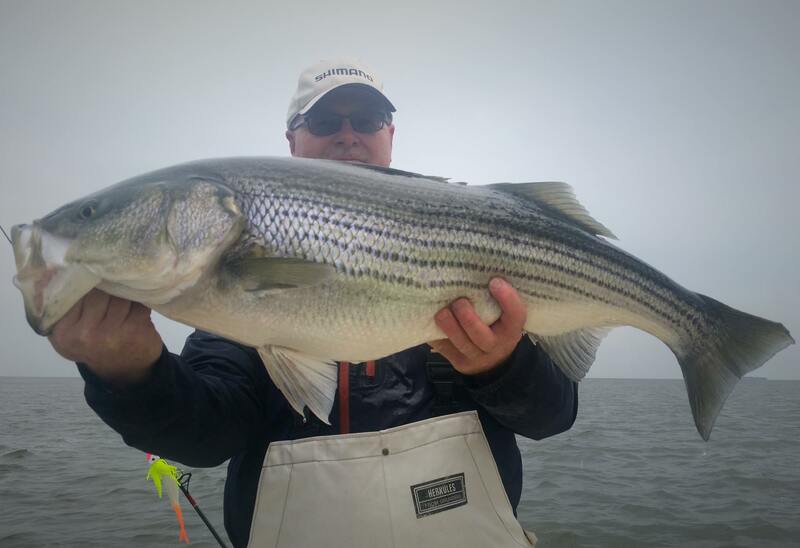 There aren’t too many issues in fisheries management on which almost every sector in Maryland can agree, but when it comes to managing bunker, most commercial, charter, and recreational fishermen feel the same way. If we don’t have enough bait fish, we won’t have enough rockfish, or enough crabs, or enough eels, or enough clams, or enough oysters or enough, well, anything! Menhaden are critical to the Bay’s ecosystem not only as forage for bigger fish and birds, but also because they are filter feeders eating phytoplankton and zooplankton. When there’s more bunker, there are fewer oxygen-depleting algae blooms. When menhaden thrive, everything thrives. Now, menhaden need our help. 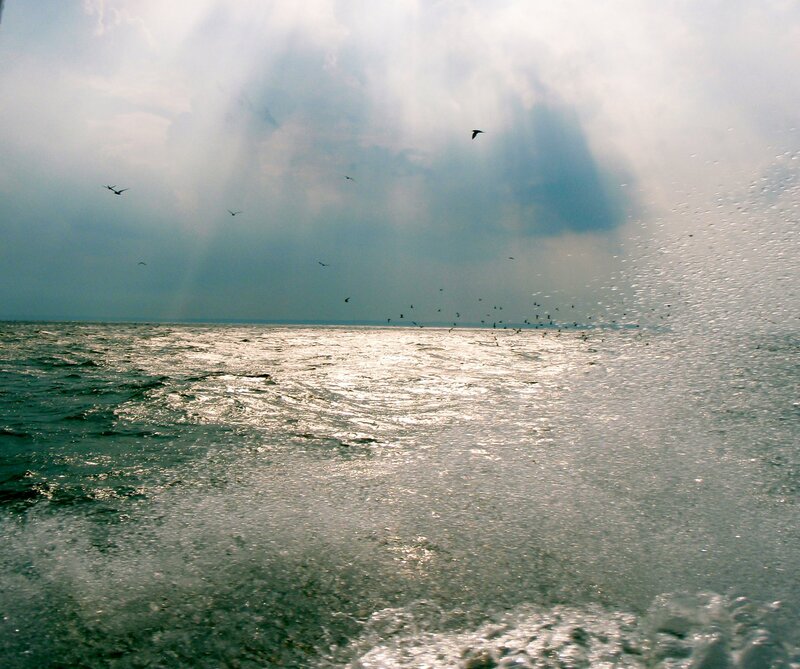 In May of 2015, the Atlantic States Marine Fisheries Commission (ASMFC) initiated Amendment 3 to their Menhaden Management Plan to establish ecological-based management. If approved, that means menhaden will be managed with the entire ecosystem in mind instead of how they are currently with imprecise harvest quotas for every state. As fishermen and stakeholders in the Chesapeake Bay, we now have our first opportunity to speak out on the importance of ecological management. The ASMFC is considering several options, but let’s be clear, we want them to use the best available science to look out for the needs of the ecosystem. It’s obvious that the current single-species approach isn’t working, not for the fish, not for the fishermen, and not for the businesses that depend on the fishing industry. We need ecosystem management and we need it now using the models we currently have available. We can’t afford to wait. Option D is the most comprehensive solution. It would use the existing best scientific guidelines for managing forage species until menhaden-specific ecosystem reference points can be developed. More fish should be allocated to the bait sector. That’s right, that’s the fish caught by our Chesapeake Bay pound netters and used for, among other things, our blue crab fishery. See, I told you we are all on the same side here. It isn’t equitable for one state (Virginia) to take 85% of the available fish. That’s just nuts. Conservation measures should not discriminate between residents of different states. We should count all the catch. Currently, there are bycatch loopholes that allow several million (yes million) pounds of fish to go uncounted. Another reason why this is such an important issue to Chesapeake Bay fishermen is that the Bay is the primary nursery for the coast-wide menhaden population, and the area where the majority of the catch is concentrated. If you’re fishing the Chesapeake, you are fishing at ground zero for the most important fish in the sea. If we, the Chesapeake Bay stakeholders don’t take action, who will? So, here’s the deal: I’m asking all of you, my friends and neighbors in the Chesapeake Bay, to relay the points I listed above to the ASMFC. It doesn’t matter if you’re a private angler, a charter boat captain, a crabber, a hook-and-liner, a pound netter, or an oysterman, we’re all on the same side because we all need menhaden. Thanks for your help on this one. Let’s keep those big birds diving over big rockfish in the Chesapeake Bay. Nice running into you today, Shawn. Man, those were nice fish! Message sent. Thanks for keeping us informed, Shawn. Shawn: FYI, I clicked on the “comments@asmfc.org” in your article and sent my supporting comments. I received a delivery failure notification indicating that the address might be incorrect. When I looked at the e-mail I sent, it was addressed to “comments@asmfc.com”. I tried the article e-mail address again and the e-mail address converts to the “.com” version. So, I manually changed my e-mail addressee to “.org” and it seems to have gone through. Thanks, John. I fixed the problem. The correct address is comments@asmfc.org. Done. Thank you for informing us. Good stuff, Shawn. Thanks to you anglers who responded. I drove down to Colonial Beach last Tuesday to present CBF’s comments to ASMFC at the PRFC HQ. Separately, we had a great turnout that evening in Norfolk at our Blue Planet Forum, which the VA Saltwater Sportfishing Association co-sponsored with us, and apparently in Annapolis on Wednesday the Hoopers Island pound netters joined with the angling community. It’ll still be a tough struggle, though. We need to stay together and thoughtfully vocal. Well said and my email has been sent. God willing the law makers will stop paying so much attention to the special interest groups and start paying attention to what is important. The prolonged health of one of the most, in my opinion, amazing and dynamic ecosystems on the earth today. It’s been a long time since I visited CLT. The site looks great! Keep up the good work Shawn and tight lines……. Thanks for your email to the ASMFC, and for your comments, Big E. Hope we can catch up soon. Email sent. Thank you for bringing this to my attention. Thank you for the report and information. Emailed my comments today just under the wire. Thank you! Looks like I read this a little late, but count me in for the next time you need support. 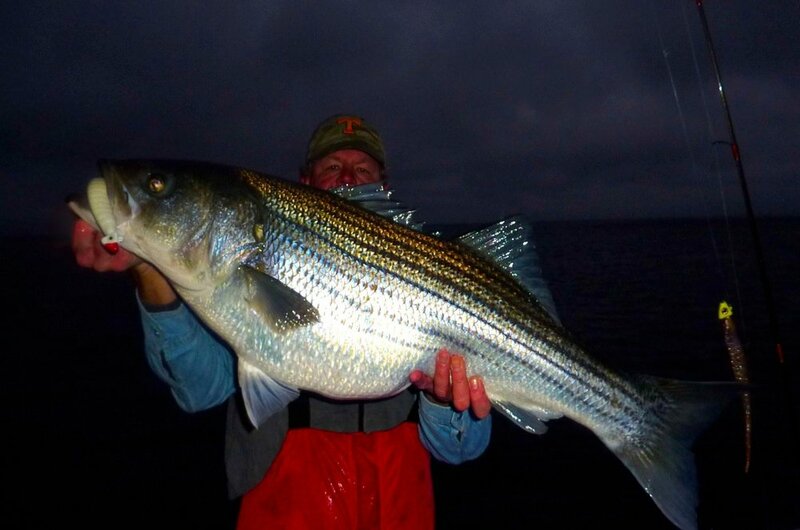 It was a fantastic year for CB stripers!